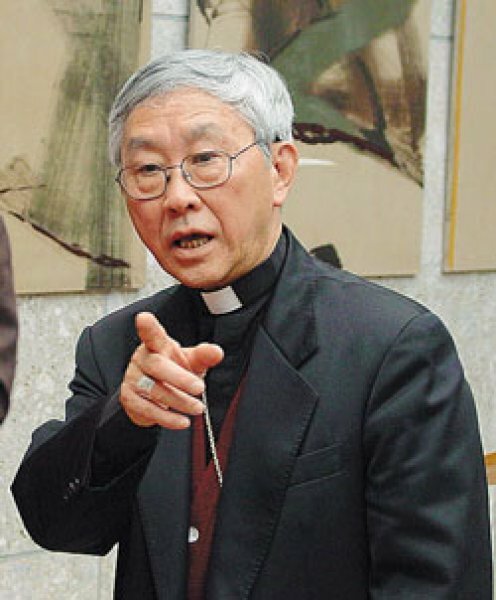 The bishop emeritus of Hong Kong highlights the ambiguities that drag on in talks and in the expectations of diplomatic relations between China and the Vatican: belonging to the Patriotic Association, which Benedict XVI called "incompatible" with Catholic doctrine (and which Francis confirmed); silence on the persecution of the faithful and priests; ambiguities over appointment of bishops. A critique of the revival of the Vatican's Ostpolitik. Hong Kong (AsiaNews) - The article by Card. John Tong, published today, mentions the difficulties and embarrassment experienced by unofficial faithful in China at the way in which China-Holy See talks are being conducted; at the Vatican's silence on the persecution suffered by the faithful; at the ambiguity of the Patriotic Association, the organism that controls the Church in China. Card. Joseph Zen, bishop emeritus of Hong Kong, speaks out on behalf of the underground communities. In order to deepen our understanding of the issues being debated by Catholics in China and the shadows that Card. Tong tries to dispel regarding China-Holy See dialogue, we publish an article by retired bishop, that recently appeared on his personal blog. Originally, the post was an articulate response to an accusation made against Card. Zen by a journalist from Vatican Insider, according to whom the elderly prelate is inciting the "rebellion" against the Holy See's decisions. The Cardinal responds to the false interpretation of his thoughts, but also lists all the concerns that arouse the Vatican's silence on violence against Christians and the revival of a Vatican policy similar to the Ostpolitik practised under Card. Agostino Casaroli. In the text that we publish below, the uppercase and underscores are from the original. After three weeks (11 June – 2 July) of terrible battle against the attack of a virus called “Mycoplasma pneumoniae” I am back to my religious house for a long recovery. But here I am being told that I was subject to another kind of attack, on the prestigious pages of “La Stampa”, from my “friend” Gianni Valente. My health condition could exempt me from being involved in another battle, but the truth has its rights and I cannot desert my duty of offering some clarifications. First of all the “status quaestions”. It is a short appeal I made from my blog to my brothers in mainland China. Valente has found at last the “corpus delicti” (the material evidence of a crime) and cries to the scandal, not hiding a certain complacency. It is not a call to battle as wants Vallente: “…ignore it! Don’t consider it! Dissent from it!” No, It is just a call to retreat, an invitation to calm, to accept the defeat without giving in irrational reactions (let’s not make prophets of our enemies, who say that from papists we are going to become apostates!). 2. WHAT DEFEAT? ORDER TO CHANGE COURSE. But what defeat it is about? We know that in China the atheist regime has always wanted to totally control the religions. Until now large groups of Catholics, both underground and in officialdom, making great sacrifices, remain faithful to the Church founded by Jesus on Peter and the Apostles. But today a specter appears in the horizon, of a statement coming right from the authority of the Church, that tells them to change course. What was declared as opposed to the doctrine and discipline of the Church will become legitimate and normal; everyone will have to submit to the Government that manages the Church; everyone will have to obey to bishops who until today are illegitimate and even excommunicated. So, they have been wrong for decades these poor “confrontationists”? My appeal is to prepare the minds for such an eventuality, which once seemed impossible, now it looks very likely. What to do? Accept to go back, as Valente says, to the catacomb situation, which is not the ordinary situation. But, when the ordinary is illegitimate and the legitimate is not allowed, there is no choice but to hold to the legitimate in a extraordinary way. Valente mentions a “Sino-Vatican Pax”. This makes me think of the famous “Pax Romana”, a “peace” built and maintained with iron and fire, …the symbol is the triumphant return of the conquering legions pulling behind hosts of slaves. There you see, my appeal is full of sadness and sorrow. Here I could finish my article begging Valente to have mercy on us, to respect at least our sorrow and let us mourn in peace. 3. ACCEPTANCE OF THE AGREEMENT AND OBJECTION OF CONSCIENCE. LOYALTY TO THE POPE IN SPITE OF THE POPE. My first statement is: “you need not follow (that agreement all the way)”. Yes, in our acceptance of the provisions from Rome there is a limit, the limit of conscience. We can not follow that eventual agreement in what appears to our conscience to be clearly contrary to the authentic Catholic faith. Pope Francis has often defended the right to conscientious objection; then he, a Jesuit, who leaves even the most complicated problems to personal discernment, will not deny this right to his children. The limit of our acceptance makes it even more painful. It will be for me a real tearing of the heart, between the Salesian instinctive devotion to the Pope (yes, we call it devotion. The 3 Salesian devotions: to the Blessed Sacrament, to Our Lady and to the Pope) and the inability to follow him all the way in the case, for example, that he encourages to embrace the Patriotic Association and join a Church totally subservient to an atheist Government. We will have to refuse to take that step just because it formally contradicts the petrine authority. Yes, in the case under consideration (in this moment we still strongly hope that it does not happen) we will have to be loyal to the Pope (the Papacy, the authority of the Vicar of Christ) in spite of the Pope. If Gianni Valente gets scandalized, it means only that he is lacking knowledge of Church history. In the final part of his article, Valente speaks of the “real communion with the Bishop of Rome”. We entrust to the eternal Judge do judge whether the truly real communion with the Pope is ours or that of those who today cry out loud (as, for example, someone, interviewed by L’Eglise d’Asie, said): “Come on, get ready, everyone, to obey the Pope, whatever he decides!” (obviously this person has great hope that the Pope will confirm the present abnormal state, in which he will continue to enjoy his acquired benefits. 4. DO NOT JOIN THE PATRIOTIC ASSOCIATION. TEACHING AUTHORITY OF THE POPES. Valente would insist: “There is in your appeal the peremptory prohibition to join the Patriotic Association!” Yes, I have said: “We must absolutely not join the Patriotic Association”, but not on my own authority, it is the authoritative teaching of Pope Benedict, confirmed by Pope Francis, who said that the letter of Pope Benedict is still fully valid and we do well to read it. (Section 6): “…the declared purpose of the afore mentioned agencies to implement ‘the principles of independence and autonomy, self-management and democratic administration of the Church is incompatible with Catholic doctrine…” (The mane of “Patriotic Association” is explicitly mentioned in the foot note). The Government says that the “official” Church is governed by “One Association and One Conference” (The Patriotic Association and the Bishops’ Conference), but who leads this “two-in-one” organism? It is the Government through the officer of the S.A.R.A. (State Agency Religious Affairs), who presides over the meetings. (The Government doesn’t even feel the need to hide such reality showing with ostentation photographs where the director of S.A.R.A. chairs the meeting, while the president of the Patriotic Association and the president of Bishops’ Conference, to his right and left, head bowed, listen to his instructions). The supreme authority of that Church resides in The National Assembly of Catholic representatives, which is convened every five years. To preside over such meeting in the past was always Mr. Liu Bai-nian; at presidential table seat all those who are going to be elected, during the meeting, to be presidents and vice-presidents of the Patriotic Association and of the Bishops’ Conference. Mr. Liu Bai-nian was declared Honorary President in the last Assembly, so he must be already in retirement, but in reality he is still working as before, running from the North to the South of China. We will see who is going to preside over the coming Assembly. 5. WE ARE IN THE DARK, AND THE CONJECTURES ARE NOT REASSURING. I have said that the possibility of an unacceptable agreement now looks likely. I have said also that in this moment we still desperately hope that it does not occur. So nothing is certain yet. Then why so much fuss? It is true that we know nothing for certain, we are kept completely in the dark. We know that bilateral contacts are multiplying, but we don’t know the state of those negotiations. Unofficial contacts existed before. At the time when Cardinal Tomko was the Prefect of the Congregation for Evangelization of Peoples, i.e. till year 2000, there was not yet a commission for the Church in China, but periodical meetings were held to discuss matters about the Church in China, meetings that were “joint” and “extended” (joint = with officials from both the Secretariat of State and the Congregation for Evangelization; extended = with participation of experts). As the president of the Union of Religious Superiors in Hong Kong, then as a teacher in Seminaries in China and finally as Coadjutor Bishop of Hong Kong, I was invited to those meetings, during which Mons. Celli, then undersecretary of the Secretariat of State and chief negotiator with Beijing, used to brief us on those negotiations. During the years of the successor to Cardinal Tomko there was a complete void. With the successor of the successor, in spite of the existence of a fully-fledged Commission for the Church in China, the negotiations with Beijing have become an exclusive reserve for the Roman curia, no information ever shared with the members of the Commission. Today the Commission itself has quietly disappeared. After the election of Pope Francis a meeting of the Commission was announced for the spring of 2014, but no more a word about it (no death certificate, no obituary). Extreme disrespect to the members of the Commission and to the one who set it up in the first place! Extreme deviation even from the tradition of formal politeness of the Roman Curia! The fact is that one of the two living chinese Cardinals (and not suspect of senility) is barred from knowing anything about how they are negotiating the affair of the Church in China. There is still a chinese in “Rome”, but he must be a nuisance, he was exiled to Guam. How sad it is that the proclaimed promoters of dialogue, have suppressed it within the Church. In this absolute lack of communication we can only resort to conjectures and guessing, trying to put together pieces of news from here and there. Fr. Heyndrickx seems to know everything, he is friend both of Rome and Beijing! At some distance there in Asia News usually pretty well informed. The picture we can make of these un-confirmed pieces of information is not reassuring at all! Things seem to be going in the direction we dread to see. So far we are talking about the present crucial situation. But Valente wants to put me back into the larger picture and crown me as the “unstoppable fighter” (or of a “gladiator” in the parlance of certain high ranking Eminence). Seventy years are so many. Seventy years ago the chinese communists have not yet conquered the power. Would I be guilty of having distorted the whole history of the Church in China under communist regime from its very beginning? How can I answer to accusation of such dimensions? May be it makes more sense to talk about the 20 years. It was the 1996. At the end of that year, I was made the Coadjutor Bishop of Hong Kong. If I am not mistaken, Gianni Valente was then very much my friend and would not have qualified me as a fighter. He knew and appreciated the fact that right after the Tiananmen Square incident I entered China and for seven years went around teaching in the Seminaries of the official Catholic Community (Shanghai, Xian, Wuhan, Shijiazhuang, Beijing, Shenyang) spending six months a years there, in continuous dialogue with those our brothers and their persecutors. It was a long living together. The authorities treated me rather kindly, so I have no personal resentment towards those communists. Had Rome not made me a bishop, I would have continued teaching philology and theology in those seminaries “with high appreciation from the authorities for my good behaviour”. But during that long living together I witnessed the humiliation of those our Bishops, the suffering of so many bothers because of their faith and their deep “sensus Ecclesiae” which made me feel very humble. It may be more exact to say that the “mobilization” started in 2006, i.e. ten years later, when Pope Benedict made me a Cardinal. If since then I am a fighter, it was not out of my own whim. I speak out because I am the voice of the voiceless. In China there is no freedom of expression! May I be allowed a digression? I can not believe that Valente ignores the fact that in China there is no freedom of expression. Then how can he affirm that the bishops he interviewed in China could say whatever they wanted? Especially those bishops who are trying to come out from the underground and get recognition from the Government, they can only say what please the Government. One of them told Valente: “there is no Patriotic Association in my diocese”. The next day Government officer came to set up the Association. Valente may not know that. I am the voice of the voiceless not only to protest against the Communist Authorities, but also to put certain questions to our Roman Authorities. All these years actions were posited which offend the doctrine and the discipline of our Church: illegitimate and excommunicated bishops perform pontifical rites and sacred ordinations, legitimate bishops take part in illegitimateepiscopal ordinations up to four times; almost the total participation of the bishops of the official community at the National Assembly of catholic representatives. No word came from Rome! Don’t our brothers in China have the right to get confused and make questions? 7. INTERNAL FIGHT? AM I AGAINST THE DIALOGUE? THE DIALOGUE MUST SUCCED AT ANY COST? What Valente emphasizes is not my fight against the communists, but rather my dissent from those in Rome who hold the handle of the knife in matters regarding the Church in China. So the foundation for hoping in the success of a dialogue lies in the sincere will to respect one’s own identity and that of the dialogue partner. Is there such foundation in our case? Can a totalitarian Government accept a religion which claims its own supreme internal authority? Can a religion submit itself to the complete control of an atheist Government? We must face the fact that the communist Government is a true dictatorship! When I likened our dialogue with a communist Government to San Joseph going to talk to Herod, it sounded like a joke. But it is not that far from the reality. Our dignitaries in the Roman curia, have they ever studied Marxism-Leninism? Yes, don’t forget Lenin, he gave a “eternal” structure to what Karl Marx said to be a “temporary” dictatorship of the proletariat once they achieved the victory in the class struggle. Dear Italians, you should be grateful to the Lord for having spared you the modern forms of dictatorship: Nazism and communism (Mussolini’s fascism is a laughing matter in comparison). Those who have not lived under those forms of dictatorship may have difficulty to measure all their horror! In dictatorship regime there is no compromise, there is only total submission, slavery and humiliation. The chinese communists, after they have killed hundreds of thousands, maybe they don’t need to kill so many nowadays. But the “state of violence” reigns, total denial of most basic human rights. Who doesn’t know that today chinese communists are ever more arrogant abroad and oppressive at home? (a recent article by George Weigel in First Thing may give you some update). This same Government will use kindness with the Vatican? With all the recent facts (removal of crosses and demolition of Churches and all the speeches and brain washing sessions on the right of the State to guide and lead the religions) how can our most eminent Secretary of State say that “the prospective of dialogue are promising”? A priest of the underground community, forty years old, name “PEACE”, very much learned and zealous, esteemed and loved by all who know him, died in mysterious circumstance in early November 2015. The public security says they found the body in a river, he must have killed himself. But they refuse to supply any evidence to clarify the true cause of death. So the conclusion is to refuse dialogue? No. But you must go to the negotiating table ready to admit, in the end, perhaps for the hundredth time, that dialogue is not yet possible. How can you reasonably hope in the success of the dialogue? Will the chinese communists give up a little of the complete control of the official community of Catholics they firmly hold in their hands? In the case the dialogue fails, they lose nothing. But they come willingly to the dialogue hoping to bring home a signature, the final blessing of the Popes on the present abnormal state of that Church, which, objectively, is already schismatic. The Popes prefer to avoid the word “schism” only because they know many have been forced into it under severe pressure. To be able to conclude the dialogue at any cost, are our people ready to pay the price of canonizing a schismatic Church? Seemingly they are limiting the discussion to the question of Bishops’ appointment. But how can they leave out of consideration so many other problems which are enormous? As about the bishops appointment seemingly they tend to ratify the present procedure adopted by the official Church. But that is unacceptable. “Democratic election?” (there is no election in China not manipulated by the Government! ); approval by the Bishops Conference? (There is no real Bishops’ Conference, only a name! ); final consent of the Pope? (a simple formality?) What about the underground community? Every body will have to join this “Chinese Church”? No more Catholic Church in China! (in chinese the Catholic Church is called “Church of God”, in the term “Chinese Church of God” the contradiction is not obvious, while it is obvious in the term “Chinese Catholic Church”, where “Chinese” contradicts “Catholic”!). At this pointy I can’t help mentioning the Ostpolitik. “It’s past history!” No, our leaders in the Vatican are still full of illusion in the “miracle” worked by their teacher Cardinal Casaroli (no doubt he was a holy priest). Originally Ostpolitik is about politics; in that field it makes sense, because here there is the possibility of some bargaining, trading economic gain for political concessions. But what do we have to bargain with those who only understand reasons of money and power? Can we sell the only thing we have: the spiritual power? The Vatican diplomacy adopted the Ostpolitik under John XXIII and Paul VI. The situation of separation from the East Europe called for a way out. But was the Ostpolitik a real way out? The Iron Curtain cut all the channels of communication. The Popes and Commissions of Cardinals, in the almost complete lack of information, could only give Casaroli carte blanche, and Casaroli had to work in that quasi darkness (while the offices in the Vatican were full of spies – see “The End and the Beginning by George Weigel). What achievements? “We assured the ecclesiastical hierarchy!” But what hierarchy? Puppet bishops, not shepherds of the flock but ravening wolves, officers of the atheist Governments! “We found a modus non moriendi!” The Churches in those countries have not been saved through the Vatican diplomacy but thanks to the unswerving faith of the simple faithful! So “confrontation is the only way?” But how can you call it “confrontation”, that of a lamb which refuses to be eaten by the wolf? Valente has written some time ago that even Cardinal Stephen Wyszynski supported the Ostpolitik of Casaroli. How ridiculous! Of course a gentleman as Cardinal Wyszynski was, he would never publicly criticize the appointment of Casaroli as the Secretary of State by Pope John Paul II or the way Casaroli fulfilled his role. Why John Paul II has made that appointment? In a film John Paul II is made to say that, precisely because the two had different ways of understanding things,they could complement each other. May be very true. But not a few historians think (maliciously? I don’t think so) that by that appointment John Paul II wanted to reassure his enemies; Casaroli could serve as the “smoke screen”, while John Paul II would work out, from his studio, his own politics of Liberation of Poland from the communist dictatorship. 9. POPES APPOINT BISHOPS WHO ARE IN THE PATRIOTIC ASSOCIATION AND DO NOT DEMAND THAT THEY LEAVE THE ASSOCIATION. SO? Of course, when the Pope appoints or recognizes bishops, he gives them the sacramental and jurisdictional power, but this does not prove that “di per sé” there is no contradiction with their membership in the Patriotic Association, which according to Benedict’s letter, is founded on principles contrary to catholic ecclesiology. The faithful in China often point their finger on this contradiction. The Vatican is not used to answer questions. I drafted a “sussidio (Aid or guide) for the reading of Pope Benedict’s letter”. He had read it carefully and approved it, for obvious reasons only the chinese translation was printed. In that “sussidio” I first quoted from the letter, Chapter VIII, section 11, where, concerning cases of legitimatization (and approval, which would be of the same nature) the Pope lamented two inconveniences: “1o in most cases priests and the faithful have not been adequately informed that their Bishop has been legitimized, … 2 o what is more, some legitimized Bishops have failed to provide any clear signs to prove that they have been legitimized”. Hence the Pope made the following 2 recommendations: “1o that legitimization, once it has occurred, is brought into the public domain at the earliest opportunity, and 2o that the legitimized Prelates provide unequivocal and ever clearer signs of full communion with the Successor of Peter”. My comments were: “So, there is no contradiction in Pope’s letter, but there is contradiction, i.e. incoherence, in certain legitimized or approved bishops, they have been accepted into the hierarchical communion by the generosity of the Holy Father, but they failed to live it up coherently. How can people who, in every occasion, shout loud their support for an independent Church, consider themselves to be in communion with the See of Peter? When the successor of the successor of Cardinal Tomko had his successor, during a meeting, actually the last one, of the Standing Committee of the Commission for the Church in China chaired by him, it was clear to the participants that after a long period of tolerance of the situation of incoherence, resulting in a total failure, it was time for a change of the strategy: clarity is necessary! The meeting agreed on a preliminary stage of Catechesis, i.e. to tell everybody that the Patriotic Association is not acceptable. I don’t know how much action followed that consensus. The matching of time allows me to believe that the consensus of that meeting was somehow been communicated to the Diocese of Shanghai. That may explain the fact that Bishop Thaddeus Ma at the end of his Episcopal ordination made that statement (met by a prolonged thunderous applause of the People of God). What happened in Shanghai four years ago, the 7 of July, should help the whole world to see the absurd tenet of the religious policy in China: “if you love your country, you must act against your religious conscience!” They were forcing the highly respected Bishop Aloysius Jin, S.J. to concelebrate with an illegitimate bishop, and at the mass of ordination of his successor, to prove his loyalty to his country?! The old man could not allow himself to bear this further humiliation! At the stunning news of Bishop Ma’s “about face” many suspected some kind of intervention from Rome. After a week Fr. Lombardi answered that “any (such) speculation…is inappropriate”, I would say “unhelpful”, but “unavoidable”. We are still waiting for some clarification. O Lord! Have you not told Peter “strengthen your brothers!”? P.S. Dear Gianni, this piece I have written has casted me a lot, I am still convalescent. Please, spare me further labour!